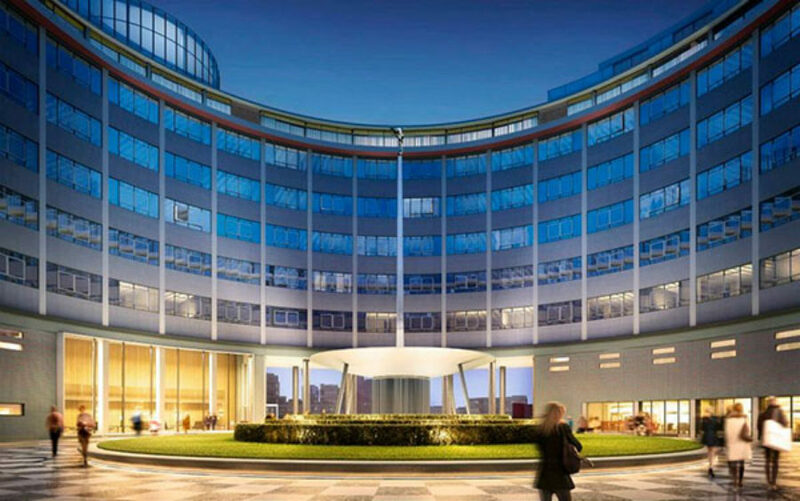 An animated fly-through of Television Centre, produced in February 2015, provides an insight into what the development could look like when it is completed. The movie takes the viewer on a journey through the site, showing a regenerated and animated forecourt leading to the famous and refurbished Helios plaza and, for the first time, on through to Hammersmith Park at the rear. The much loved features of the iconic building are seen as being enhanced with new landscaping and opened up to public access for the first time.